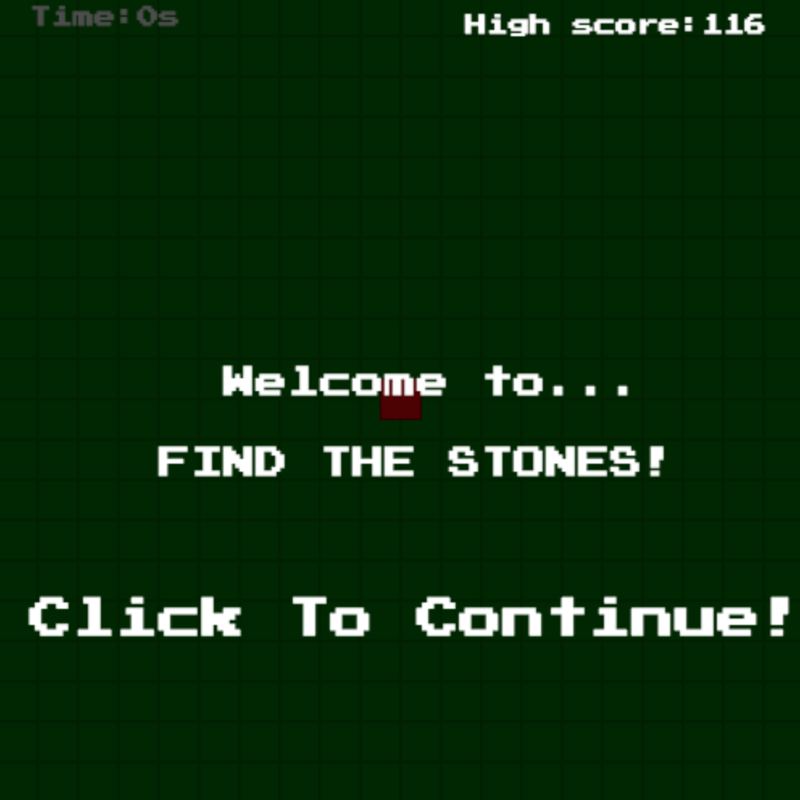 Welcome to FIND THE STONES! 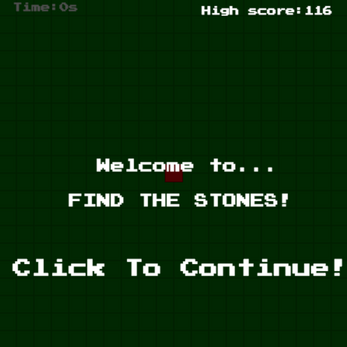 a game where you need to find all the stones within 10 minutes. Try to set a high score above mine (163). Use W/A/S/D to move around it is that simple! FIND THE STONES! was originally planned to be made for the Pixel Weekend Jam #1 however was never finished. In my opinion FIND THE STONES! is a great game however if you want to see any changes such as better graphics or better game mechanics just let me know in the comment section down below!